The Region of Epirus is located in the northwestern part of the country. In the west of the country is the coast of thee Ionian Sea, in the east borders with Macedonia and Thessaly and extends south to the Gulf of Amvrakiko and the Regional Association of Aitoloakarnania. It consists of the Regional Association of Arta, Thesprotia, Ioannina and Preveza. The headquarters of the Region are in Ioannina. 3. Department of Philosophy, Education and Psychology which grant degrees respectively. The School operates from 1982 in accordance with Law 1268/82. The Department of History and Archaeology is divided into four sections: Ancient and Medieval History, Archaeology and Art History, Modern History, Folklore. The Cultural Center of Ioannina, the city of “Legends and Traditions”, considering the task of preserving and exploiting the memory of the past, founded in 1984 the Department of its Traditional Dances. Its purpose is to record, develop and reproduce elements of popular culture of Epirus and Greece, such as the musical heritage, and its binding and also whatever lies around it, influencing and be influenced by the modern man. Similarly, there is also the contribution to the socialization of its members through cultural processes, in which they participate. Its 300 dancers have performed 500 dances and 180 songs, and have reenacted 45 events from 35 regions all over Greece (Ioannina, Zagori, Pogoni, Syrrako, Kalarrytes, Zitsa, Kourenta, Vovoussa, Metsovo, Xirovouni, Konitsa, Souli, Paramythia etc. ), areas of Crete, villages of Western, Central and Eastern Macedonia, of Thessaly, East Romylia, Thrace, the Aegean Sea Islands, Pontos, Propontis, Asia Minor, Sarakatsanon etc. and local dances (Sirtaki, Zorbas ) are presented too. 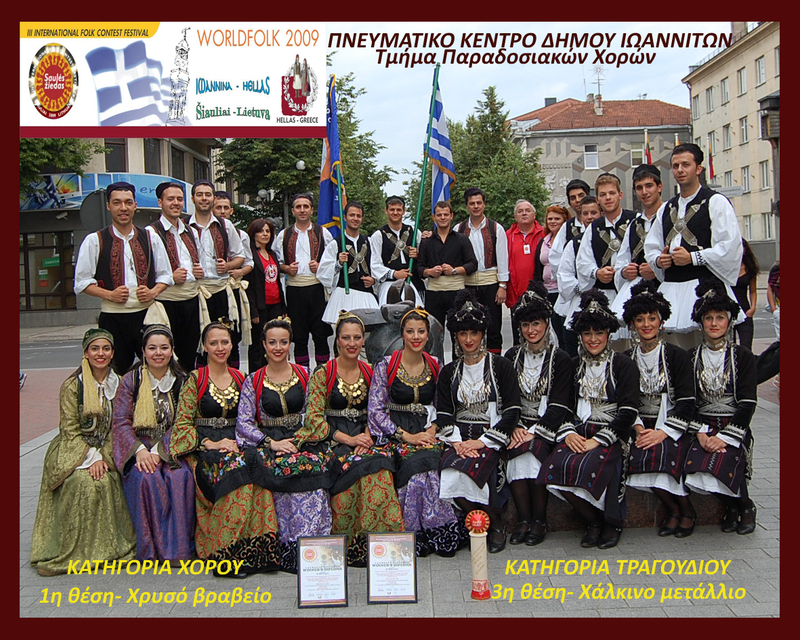 The Department of Traditional Music belongs to the School of Arts of TEI of Epirus and is located in Arta; it was founded in 1999 (Government Gazette 200/6-9-1999) and its first students were enrolled in the academic year 2000-01. It studies the originality, complexity and distinctiveness of traditional music substantiating on them an original pedagogical music training system. The undergraduate curriculum of TLPM is an original kind of curriculum. It proposes a musicological training focused on Greek musical tradition, where a significant part is reserved in the practice of instrumental-use. Simultaneously, it attempts a universal vision of the musical phenomenon in space and time, as part of an overall social function. The training incorporates music practice workshops (cultivation of the expertise around a laic instrument in the workshop of music skills and with a selection of typically grouped “families” of instruments, visit to their elementary techniques in the context of the workshop of instrumental knowledge, setting of Musical Ensembles based in a musicological perspective), and instrument construction, which can be an alternative to the workshop of music skills. 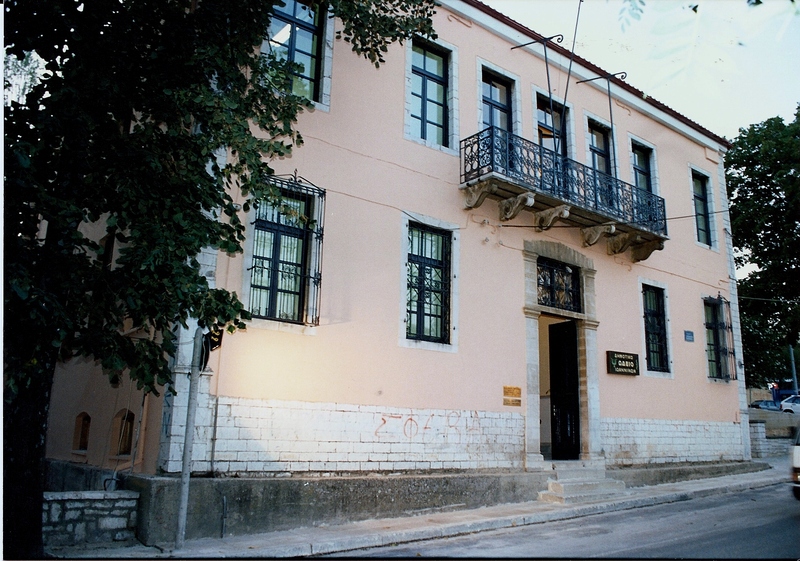 The Municipal Conservatory of Ioannina is the largest “recognized by the state” musical institution in northwestern Greece. Its roots go back to 1963, when it first appears as a conservatory of Philharmonic of Ioannina. In 1983 acquires legal form (public entities) under the auspices of the Ministry of Culture and since 1989 is a part of the Municipal Corporation “Cultural Center of Ioannina” (N.P.I.D.). The high level of education provision embraces the fields of classical, traditional, laic and Contemporary Music. In professional orientation, it trains soloists, orchestra members, music teachers, opera singers, etc. It also performs many concerts in Ioannina and in other cities abroad. The musical studies at the Conservatory attract every year more than 700 students, covering the entire range of classical, contemporary, folk and traditional music. Here are taught all the organs, classic and free song, music theory, music theory, advanced theory and composition. It educates children from an early age, prepares and highlights the future instrument soloists, orchestra members, music teachers, opera singers, giving them a very important professional way out.